Helen and I have been together for 4 1/2 years and our love for each other keeps growing everyday. Helen sold her house in Texas. The sale happened very quickly as her landscaper knew she was not around very much. He inquired as to whether or not Helen wanted to sell. During our October visit to Texas, the deal was finalized and the house sold. This put a lot of stress on us as we had to pack up and move out within 3 weeks. 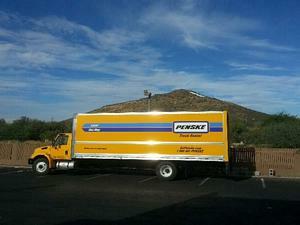 We finished in the nick of time, loaded a 26 foot box truck with all of her stuff and drove it to California. The trip was a lot of fun, taking about 3 1/2 days. We unloaded it all into Charles' house, which is now bulging at the seams. It'll take us a while to sort and find a place for everything. Helen's Son, Dave, and Daughter-in-law, Karen, had their first child together. Helena, was born on May 20th, 2016. And, what a cutie and joy she is!!! Dave's other 3 daughters, Emma (9), Shelbea (7) and Reghan (6) are currently with their birth mother in Alaska and we miss them very much. Helen's sweet Mom is in a nursing home in Gainesville, Florida. In November, she went on hospice, as an additional layer of care. Despite being taken off most medications, she is doing well. Her Alzheimer's will slowly cause her organs to shut down. Fortunately, she is not in any pain and is content. Helen's brother, Harold, lives in Gainesville and is able to be with their Mom several times each day. This has been a tremendous comfort to both Helen and to brother Robert (who lives in San Diego, California). 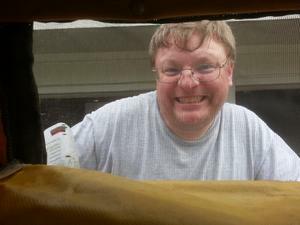 Helen's friend, Tim, helping us to prepare the camper for it's last hurrah before she was sold. 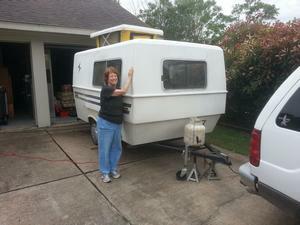 My brother purchased a new 17-foot Casita travel trailer. 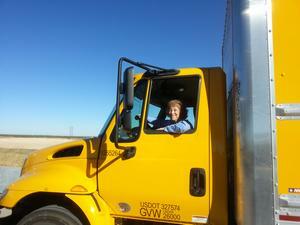 Helen and I were there when Wayne and Rosie picked it up from the factory in Rice, Texas. What an exciting day that was! Helen and Charles drove to Rice, Texas pulling Helen's 1969 Trails West ten foot camper. 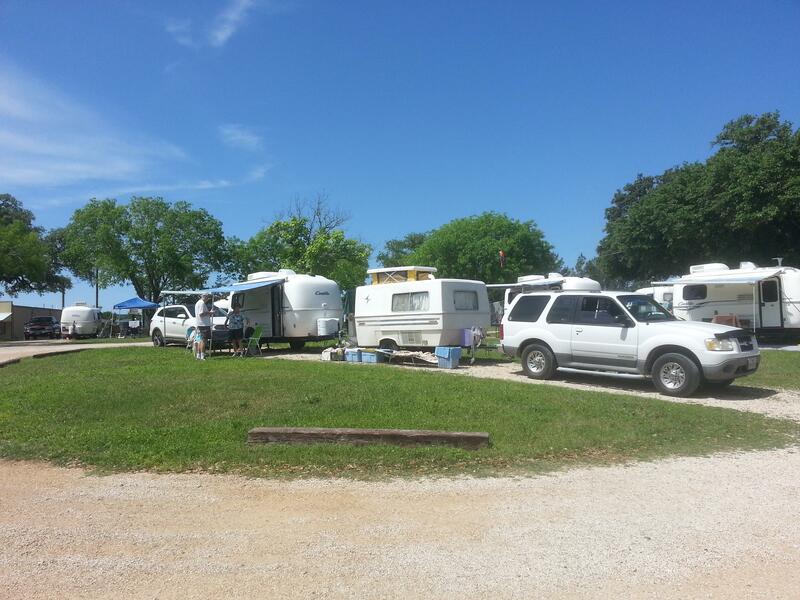 Once Wayne and Rosie had picked up their new trailer, we all took a one week tour of Texas. 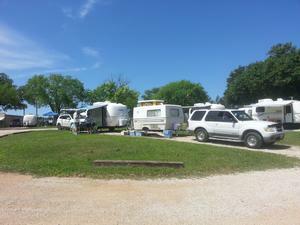 One of the stops was at the Blue Bonnet Casita rally in Bandera, Texas. There were over 100 Casitas at the rally. As luck would have it, Wayne and I became the "stars" of the rally as we had both the oldest camper and the newest camper at the rally. When the local newspaper reporter came out to write a story on the rally, Wayne and I were the only ones mentioned in the "Tourist of the Week" article in the Bandera County Courier. The newest camper (left) and the oldest camper (right) at the rally. 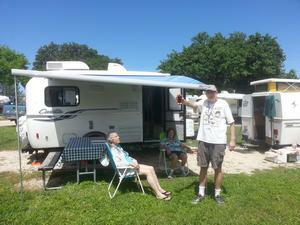 Rosie (left), Helen (middle) and Wayne (right) excited about the brand new 17 foot Casita trailer. In July we helped Helen's Son and Daughter-in-law, Dave and Karen, move from the Washingon DC area to Charlotte, North Carolina. Helen's cousin John and Ginger were gracious enough to host us for THREE weeks in Charlotte while we helped Dave and Karen unpack and move into their new home. Our trip to China was a lot of fun. We arrived 5 days before the JEDEC meeting started in Shanghai. After the meeting was over, we took a 10-day tour of China. 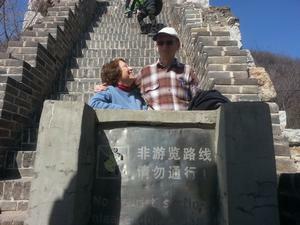 From Shanghai, we took a high speed train to Bejing to see the Forbidden City and to see the Great Wall. 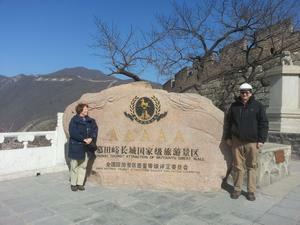 We walked from the cable car up to the top of the Mutianyu section of the Great Wall. It was a fun hike and more strenuous that we had thought. 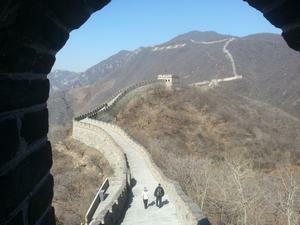 This section of the Great Wall went down the side of one mountain and up the side of the next mountain. It took us about 3.5 hours to complete the hike. From Beijing, we took another high speed train to X'ian. Here we saw the Terracotta warriors. This was really interesting as it was an entire Army of thousands of soldiers ready for battle. All of the full size warriors and horses were made from teracotta clay. From Chengdu, we flew back to Shanghai to spend one more day and then headed home. What an adventure! In October, Helen found a buyer for her house. Since we weren't expecting it to sell until Spring, all of a sudden we were under a lot of pressure to clean out her house. We had less than a month to dispose of or pack 30 years worth of accumulations for both her and her son. Helen's son Dave, still had a lot of his stuff at the house. 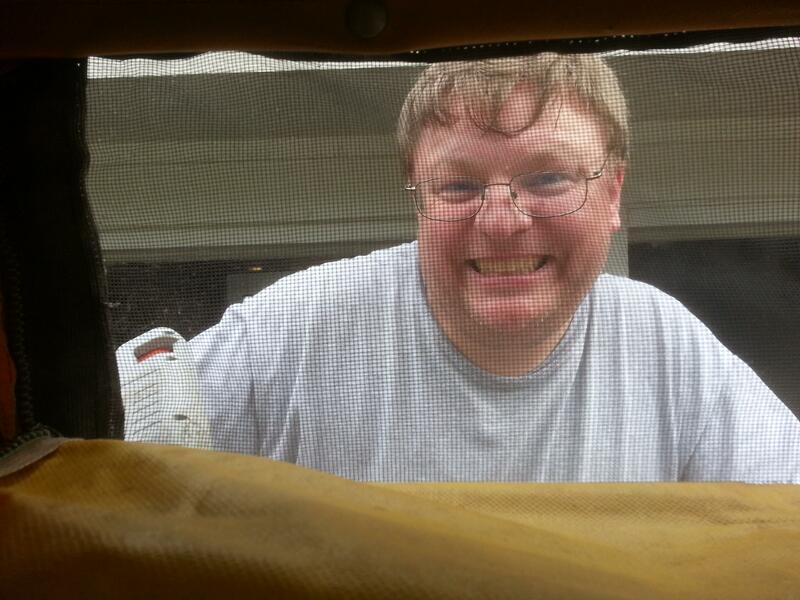 Fortunately, we were able to load up a 15 foot U-Haul box truck with all of his stuff. He flew into Houston on a Saturday morning. Helen and I met him at the airport with the fully loaded truck and he drove for 17 hours straight to Charlotte, North Carolina. What a drive that must have been! 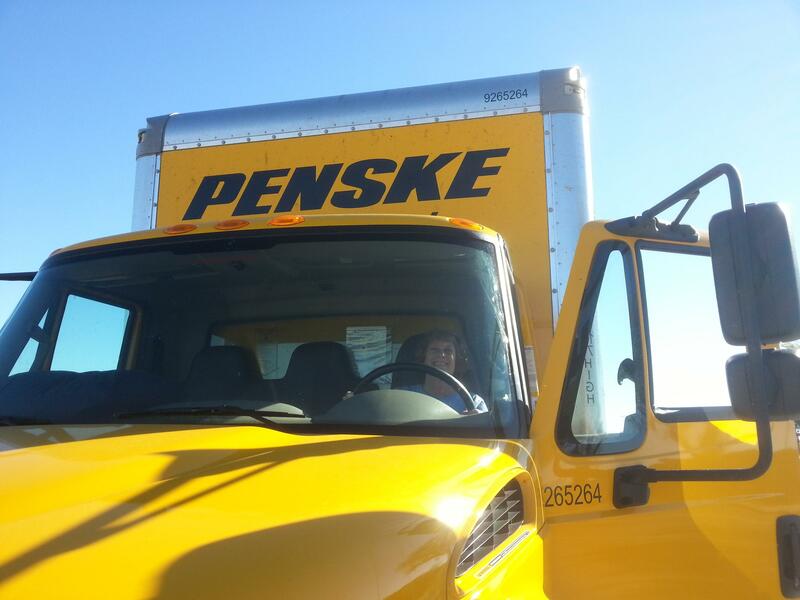 With the help of Helen's good friend, Tim, we were able to pack up the house and two weeks later, rented a 26 foot box truck from Penske and loaded all of Helen's possesions in it. It took us 3.5 days to drive the 1,900 miles to Fremont. We burned 214 gallons of diesel on the trip. It was an adventure and we both had fun. This was the largest vehicle I had ever driven. Due to all of our travel, very little was completed on the Cozy aircraft this year. About all we accomplished was making the front seats and armrests for the front and back seats. The wings, which we started last year, still have to be assembled and covered with fiberglass. I'm hoping 2017 will be more productive and we are able to complete construction of the wings. Last December, Helen's friend, Tim, visited with us over the holidays. This year, Tim will return for the holidays and my brother Wayne and his girlfriend Rosie will also be joining us. Yea! It should be an exciting and fun holiday season for us. Helen's sister-in-law, Jenny and her friend came to visit in February. We gave them a tour of San Francisco. A long time friend of mine, Pattie and her friend April, came to visit in May. They stayed for a weekend and had a tour of the Golden Gate Bridge and the Marin headlands.